The UFA NJ Strikers have been accepted into the U.S. Youth Soccer National League. The Strikers are one of only two teams from NJ to be accepted into the league in the U15 to U18 age groups. The team will compete against some of the best teams from across the country. All games are played at 3 sites, North Carolina, Florida and Las Vegas. UFA Soccer wants to congratulate the following travel soccer teams for their successful spring season. 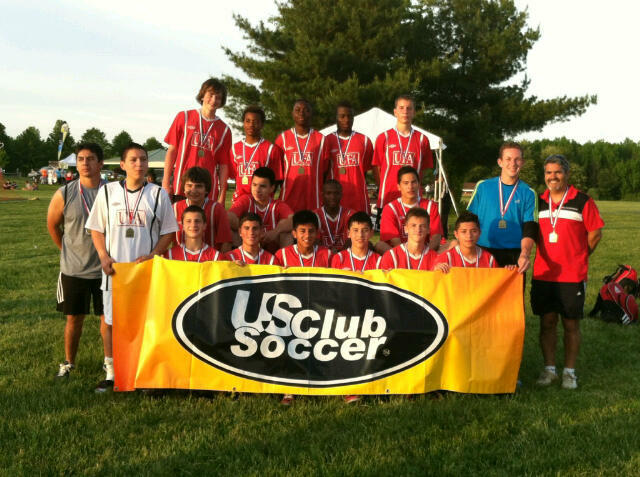 UFA NJ Strikers are the US Club Mid-Atlantic Regional Champions. The regional championships were held at the Tuckahoe fields in Hammonton NJ July 6-9. 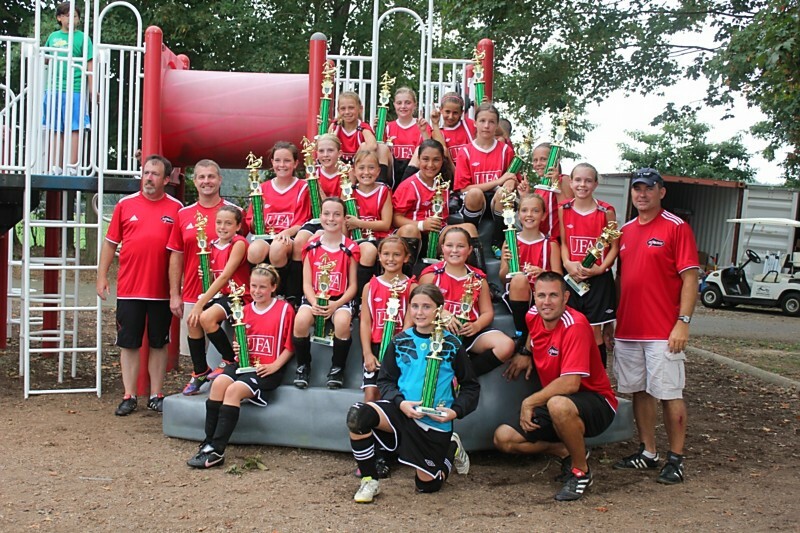 UFA Storm won the u11 girls championship at the 2012 Ryder Cup Tournament held at Fort Dix on June 23rd and 24th. After a shakey start on Saturday, Storm returned to form on Sunday winning 3 consecutive games, scoring 9 goals while surrendering 0. UFA Storm won the u11 girls championship at the 2012 Hopewell Valley Soccer Tournament. After playing to a 0-0 tie in their opening game with Morris United, Storm went on to beat Hopewell Valley (5-1), Robbinsville (4-0) and Bridgewater (3-2) to capture first place. 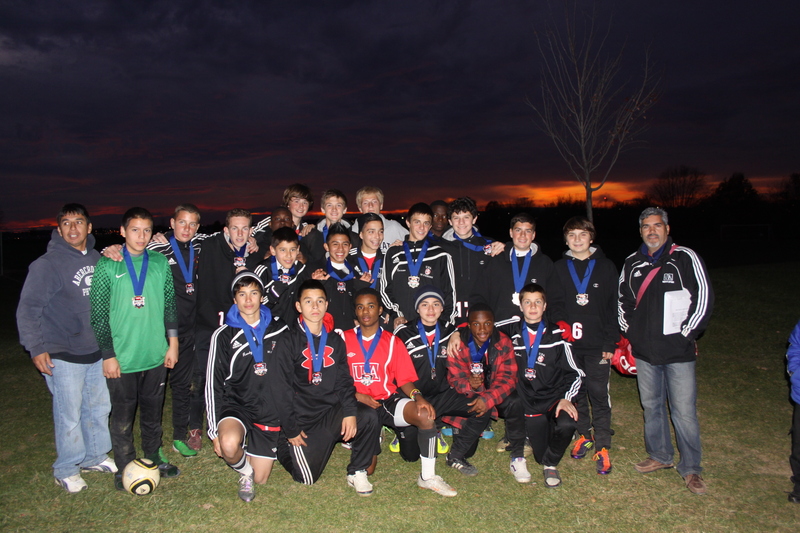 UFA NJ Strikers U15 boys win the 2012 Region 1 Premier league north division. By winning the division they will play in the regional playoffs which are held in Kirkwood, Delaware May 12 & 13. UFA finished the season with a record of 5 wins, 1 loss and 1 tie against teams from NY, CT, MA, NH. They scored 19 goals and allowed 5 in 7 games. For more information on the regional playoffs click on the link below. March 10th and 11th, UFA participated in the Jefferson Cup held in Richmond, VA. One of the top tournaments in the country with over 500 teams through out the nation. UFA opened their play with victories over South Carolina Battery Pre Academy(2-1) and Sereno 97 Boys(Arizona) (2-1) On Sunday,UFA lost 1-0 to Twin City Elite(NC) and then beat FC Milwaukee USSDA(Wisconsin) 2-1 to earn a Semi Finalist spot. March 3rd & 4th UFA traveled to New York to participate in the Manhattan Spring Kickoff. UFA beat NEFC Elite(MA) 2-0 and tied Massapequa Celtic(NY) 1-1 and top ranked Manhattan Paris St. Germain(NY) 0-0. UFA allowed 1 goal and no losses and finished as a Semi Finalist. UFA NJ Strikers U15 boys were Semi-Finalist at the 2011 Disney Soccer Showcase. The tournament was held at the ESPN Wide World Of Sports in Disney Florida from December 27th to December 30th. It is one of the most competitive/largest college showcases in the country. After losing the first game to FC America (Florida) UFA then tied Gwinnett SA (Georgia) and beat CCV Stars97 Black(Arizona) to qualify for the Semi-Finals. UFA NJ Strikers brought home the 3rd place trophy by beating Regional Champion Smithtown Arsenal (New York) 2-1. UFA Storm, (Girls U-11) Flight Champions at the 2011 East Brunswick Labor Day Tournament. The team was undefeated during the tournament, winning the championship game in a dramtic shoot-out. Storm was perfect in their penelty kicks and goalie Abby Howell stopped 2 penelty kicks during the shoot-out. Team picture. The U9 Allentown Revolution boys finished their MOSA National 3 spring season in 1stplace with 9 wins and an impressive 25 goal differential. The boys played their last game against the 2ndplace Millstone Demolition with a decisive 4-0 victory. Congratulations to the boys for all of their hard work and effort over this past year – and good luck in the fall season! The UFA NJ Strikers (U14 Boys) -- were semifinalists at the Manhattan Kickoff Tournament this past weekend. The event was held at Randall's Island in New York City. With this result, UFA is now ranked #1 in NJ and #13 in the Nation in the National Soccer Rankings provided by GotSoccer.com. 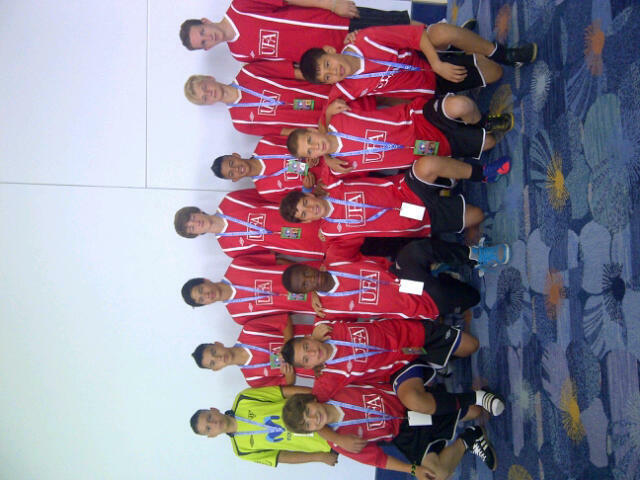 The UFA NJ Strikers (U14 Boys) -- won the 2011 Regional Championships of Futsal and have moved on to the Nationals. The nationals are to be played from July 7 to July 11th in Anaheim, California. After breezing though the qualifying rounds, UFA NJ Strikers beat Lower Merion (PA) 9-5 in the semifinals and beat Suffolk Boca(NY) 2-1 in the finals. UFA Freedom (5/6 Girls) won the U12 Girls division of the Midlands Tournament held on 11/20 and 11/21 with a tournament record of 4-1. In addition, the team finished their season with an impressive 7-1-1 record. Congratulations to the players and coaches. UFA NJ Strikers (U14 Boys)-- Lehigh Valley Labor Day Tournament Champions (Championship Flight). During the tournament the team beat the #3 and #9 ranked teams in NJ and the #2 team from PA. In the finals the team beat the #1 Team from PA (1-0). This showing in the tournament is expected to put the NJ Strikers in the top 5 teams in New Jersey. UFA NJ Strikers (U13 Boys) 2009 MAPS Fall 2009 Challenge Division Finalists.